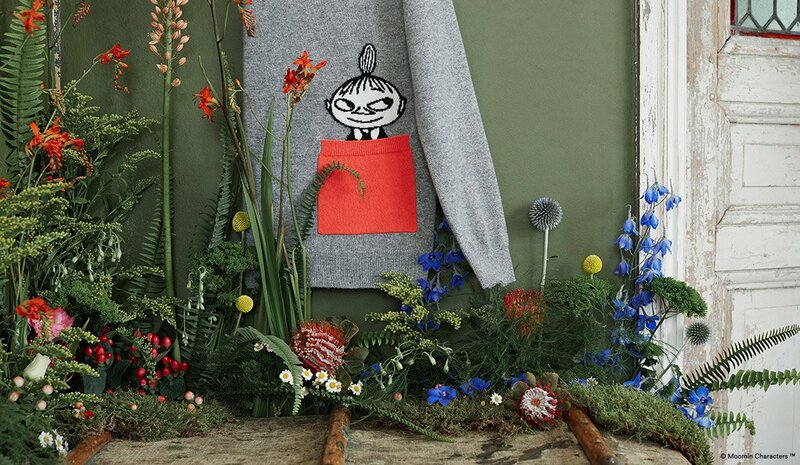 Hot on the heels of the launch of our much-anticipated collaboration with the unmistakable Moomins, we sat down with Sophia Jansson, the niece of Moomins creator Tove Jansson. Reflecting on the brand’s legacy, Sophia recalls idyllic Finnish summers with her remarkable aunt, and why the Nordic no-nonsense messages in the stories continue to resonate today. What are some of your favourite Moomin stories? I don’t think I could choose one favourite, but I do very much like Moominpappa at Sea, which is really about life in the archipelago. During that book, Moominmamma realises she has her own will and identity, separate to that of her family. As a mother myself, I find that a nice thought – we’re not just here to make pancakes! Which of the characters from the Moomin stories do you identify most with? It’s always tricky to answer questions like this – because I work with the characters I have to love them all and can relate to them all. It’s too difficult to single out anyone in particular. Finland sounds like a magical place. For those of us planning a trip to Finland one day, what are some of your favourite places in and around Helsinki? My advice to you would be, firstly, come in summer! That’s when you’ll see Helsinki at its best. Secondly, do your best to venture out to any of the islands around the city, which is surrounded by sea. There you’ll have a feel for what life on the archipelago is like and get a small glimpse into Tove’s summers which so inspired her work. What are some of the most memorable times you spent with your aunt? I’ve got very happy memories of the summers that we spent together on the archipelago when I was a child. Summers are very special in Finland, because the winters are so long and dark. When the sun shines, everyone is in a different mood and almost all Finns head to the countryside to make the most of the good weather. Swimming in the sea, boating and picnicking with Tove on the island was always such fun. What is the most important lesson she taught you? Be nice to your fellow humans. Treat everyone as an individual. Why do you think the characters and stories still resonate so much with people today? The themes and values explored in the books are timeless and universal – that’s why they endure and continue to be embraced by new fans and new generations. The Moomin stories are essentially about the things that are the most important to anyone living anywhere – things like love, tolerance, respect, being part of a family, belonging. Those things are the same no matter where you’re from, what your gender, race, religion, sexuality etc. As creative director, you have made a conscious decision to stick with the original artwork, and not be tempted to give it a ‘revamp’, like so many others do. How do you make these sort of creative decisions? Is it tricky? This particular question isn’t tricky, no – it’s obvious to me. In the decades since the first Moomin stories were published there have been many different interpretations of Moomintroll and his friends. But no matter how talented the artist, Tove’s versions were always the original and best. Her artwork was exceptional and can’t be improved on, so why use anything else? 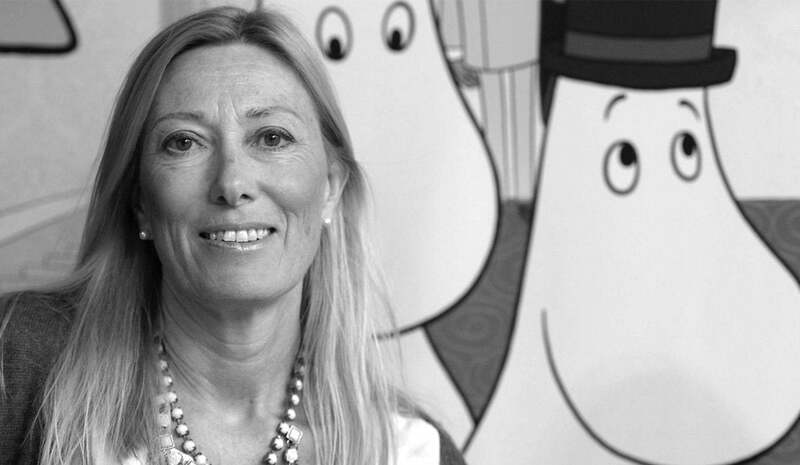 What would you be doing if you hadn’t ended up taking over the Moomin business? Well, it’s been 20 years since I came back to work for the company, so it’s hard to know! But I am trained as a language teacher, so it’s most likely that I’d be teaching people foreign languages. Why do you think the Chinti and Parker collaboration works well with The Moomins and Moominvalley? There are lots of shared values which make this a natural fit. The environment is central to the Moomin stories, so the emphasis that Chinti and Parker puts on sustainability appealed to us. Its aim is to create longlasting, classic clothing that stands the test of time – which of course is better for the planet. The focus on quality is important too. These are such beautiful garments that we’re very happy to see Tove’s extraordinary artwork on them. What is your favourite piece from the collection? 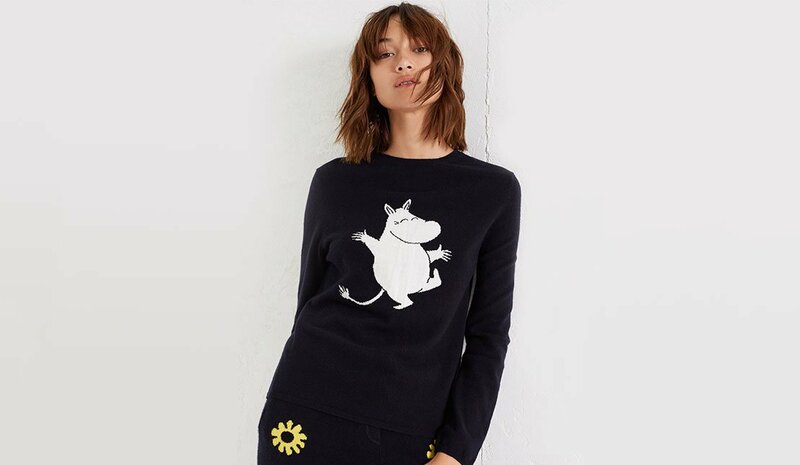 I love it all, but I think I would choose one of the classic sweaters with a very happy, dancing Moomin on the front. 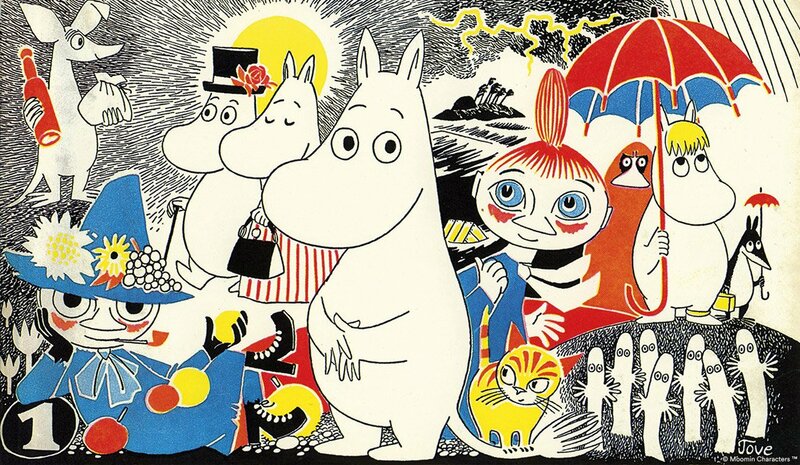 Want to know more about The Moomins? If you’re in London, visit the ‘Adventures in Moominland’ exhibition at Southbank Centre – now on until August 20, 2017.